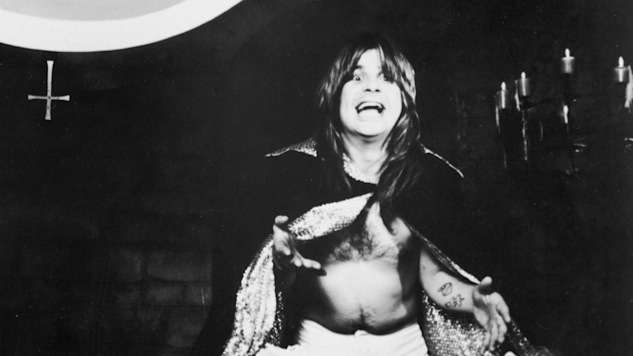 By 1976, Osbourne, Iommi, Butler and Ward were going insane—literally. By 1976, English metal demigods Black Sabbath had conquered the mortal Earth. All six of their studio albums had cracked the Top 10 on the UK charts; hits like “Paranoid,” “War Pigs” and “Iron Man” hadn’t just galvanized rock radio, they had charted a new course for hard rock music that many still follow today. But there was trouble in hell, and much of it was the result of Ozzy Osbourne’s escalating drug intake (not that the rest of the band were choir boys). The lone single on 1975’s Sabotage was called “Am I Going Insane (Radio),” and the answer, at least as far as Osbourne was concerned, was a convincing yes. After the band put out Technical Ecstasy in 1976, Osbourne was admitted to an asylum. A year later he’d quit the band, but not before the original lineup of Osbourse, guitarist Tommy Iommi, bassist Geezer Butler, and drummer Bill Ward embarked on one last tour. On Dec. 12, 1976, Black Sabbath rolled into the appropriately named War Memorial Arena in Syracuse, N.Y. The Technical Ecstasy tour was never going to offer peak-level Sabbath, but it was nevertheless a good testament to the overall power and impact they had, and the legacy they’d leave. Opening with “Symptoms of the Universe,” the band ran through a set of classics and hits for a final time—at least until their reunion 20 years later. Listen to Black Sabbath play they monolithic onslaughts of “War Pigs” and “Electric Funeral,” as well as their original ode to the dark side, “Black Sabbath,” on this date 41 years ago.